Some people really dig the S Health system on the Samsung Galaxy S4 and I even know a few folks who would be willing to buy the handset only to get to use that app. Well, since everyone is basically making a bracelet these days or a watch, why not have a health oriented bracelet based on S Health? The device you see here is the Samsung S-Health bracelet concept, created by Rebie Gutierrez and Sanjaya Kanishka and based on Tizen OS. 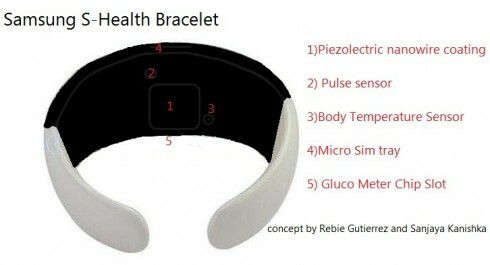 This is a bracelet for health checking and it also comes with phone features. 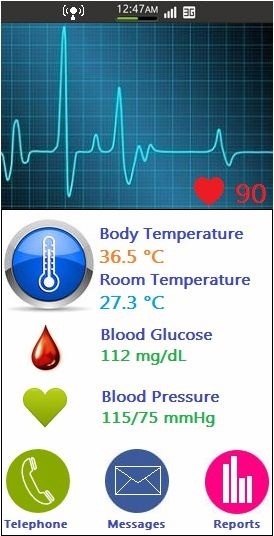 It’s powered by the Tizen platform and can show the body temperature, room temperature, blood glucose level, blood pressure and some other stats. 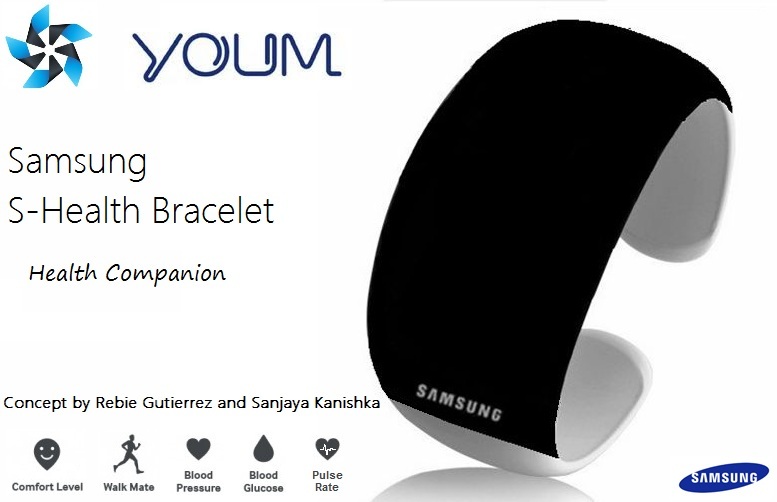 This electronic wrist bracelet is of flexible rubberish material, plus a flexible Samsung Youm OLED screen. Samsung S Health Bracelet uses a 3.2 inch widescreen Youm OLED display, a 28 nm dual core processor, a microSIM card slot, pulse sensor, gluco meter chip reading slot, a barometer and an audio jack. There’s piezoelectric nano wire coating on the rear and a 1000 mAh Li-Ion battery that can charge from your blood pressure.